I first made this long time ago, over time I modified the recipe according to my mood and needs. For example this modification was done for my daughter’s birthday at the daycare. Her daycare is rather hipster, so no sugar is allowed which I happily obliged. The coconut frosting was surprisingly pleasant to taste and it complemented the carrot taste really well. – 1 can (400gr) coconut milk, leave in the fridge overnight. – Preheat oven to 175 degrees celcius. Grease and flour 24cm round baking pan. 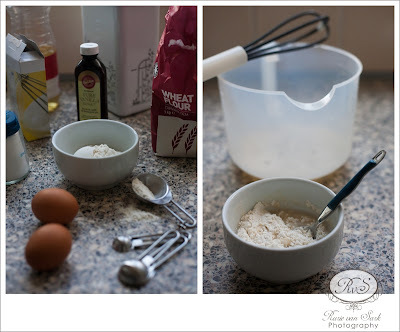 – Mix flour, baking soda, baking powder, salt and cinnamon. Make a well in the center and add honey, apple sauce, oil, eggs and vanilla. Mix with wooden spoon until smooth. Stir in carrots. – Pour into greased pan. Bake at 175 degrees celcius for about 45 minutes. Allow to cool. – To make the coconut frosting: separate the thicken cream on the top from the coconut water underneath (you can use the water for cooking). Beat coconut cream until smooth and fluffy. Use immediately. Coconut frosting can’t be stored too long otherwise it will melt again. – In a bowl, combine all flours, oatmeal, baking soda, and salt. 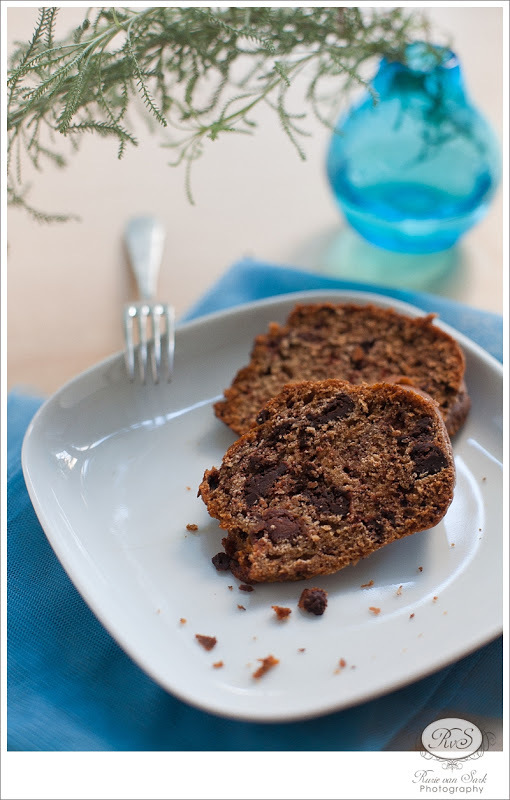 – In a large bowl, using electric mixer beat oil and sugar. Add eggs, one at a time, beating well after each addition. Add bananas and vanilla, beating well. Add flour mixture, beating just until smooth. 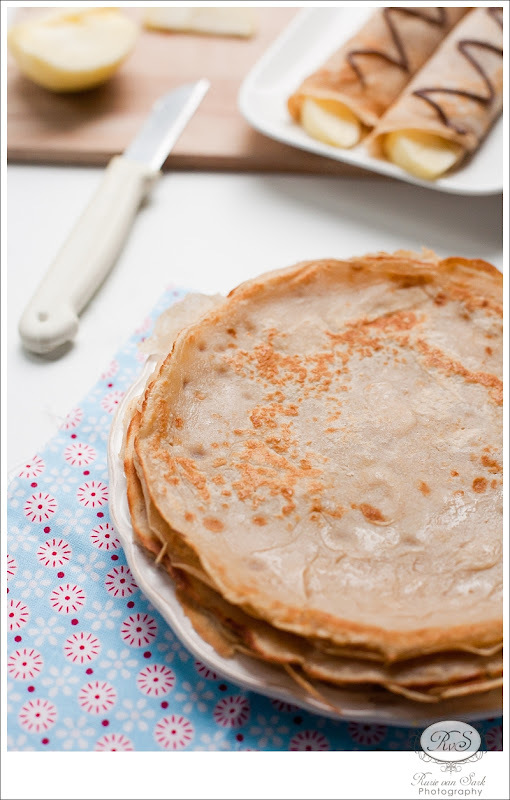 – Spread batter in prepared pans. Scatter shredded coconut on top of the batter. 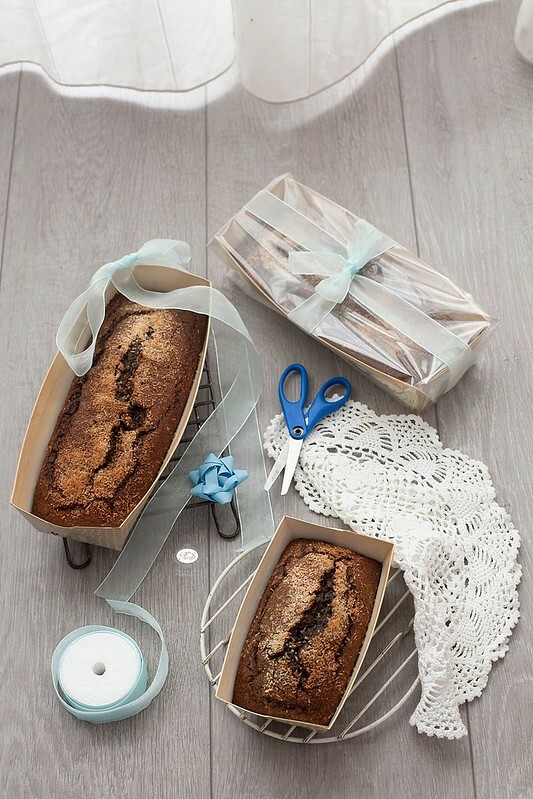 – Bake in preheated oven for 60 to 65 minutes or until a tester inserted into center of cakes comes out clean. Let cakes cool in pans on racks for 15 minutes. Remove from pans and let cool completely on racks. Many moons ago when I was still studying and living in Indonesia, I used to sell these brownies to earn some pocket money. That brownies was just a simple one without the cream cheese topping. 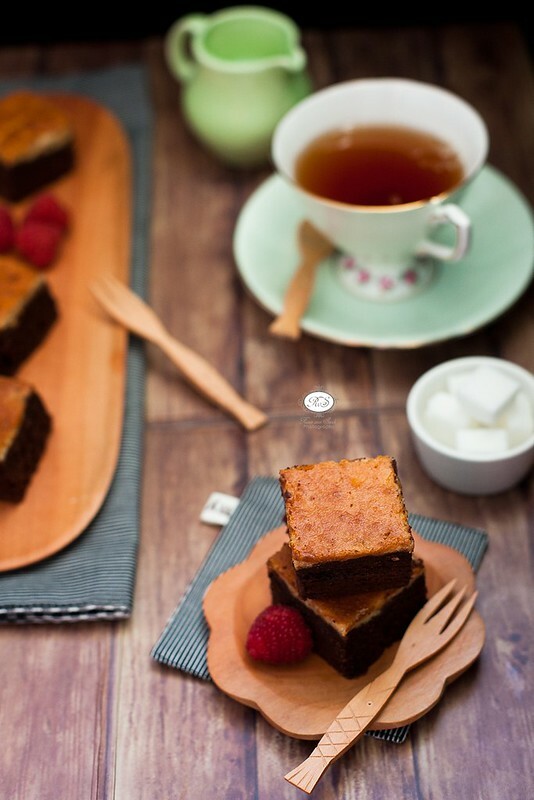 The recipe of this brownies is a mix of many recipes which I modified to my taste and need. Now I share this recipe with you. – turn the oven on 160c. 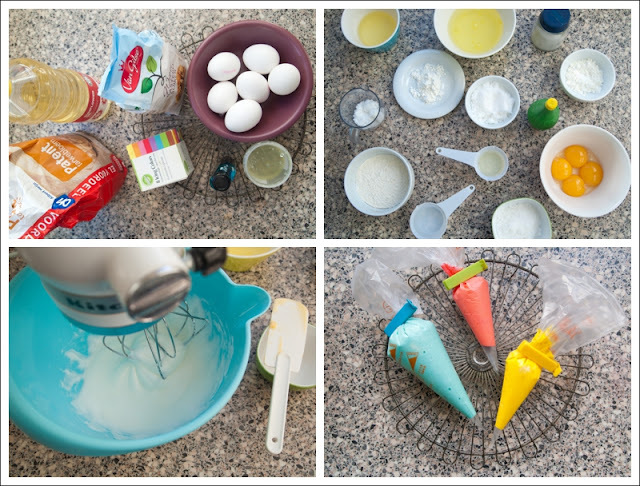 – mix cream cheese with egg yellow, set aside. – melt butter and dark cooking chocolate in a double boiler. 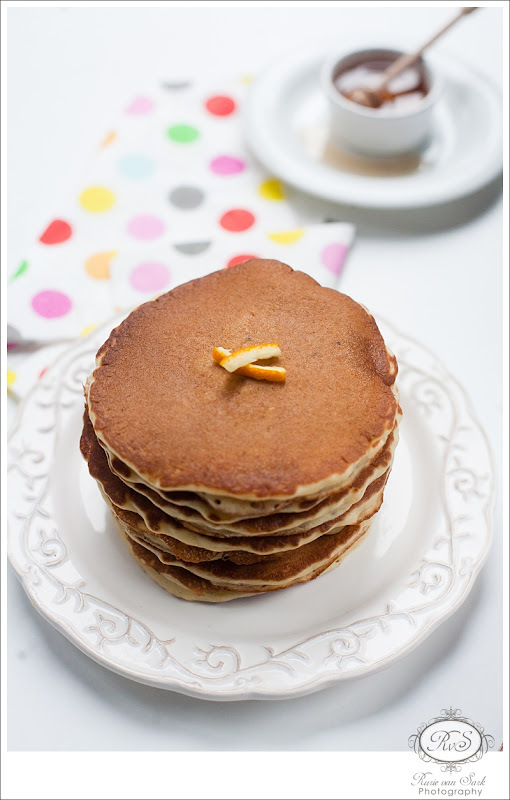 – with hand whisker, combine egg and sugar just until they become thick. 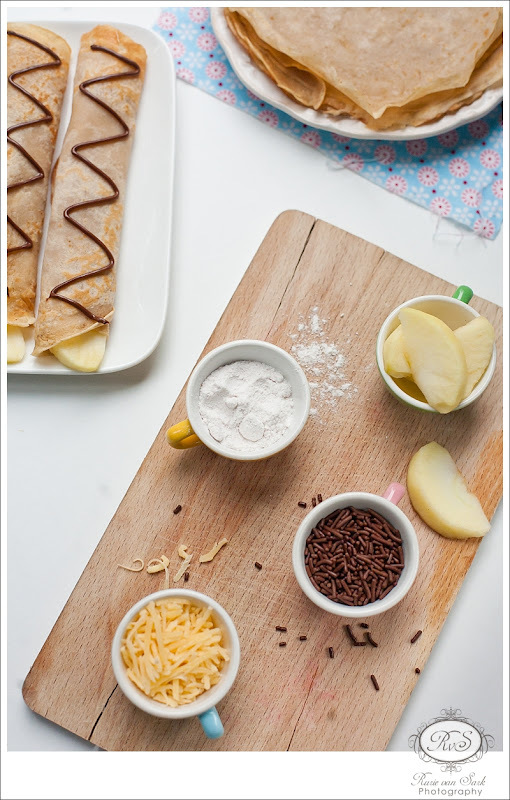 – add flour, chocolate powder, milk powder, vanilla extract and butter and chocolate mixture. 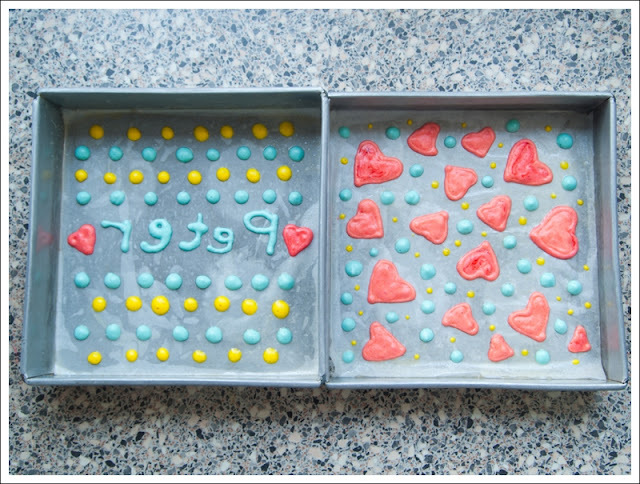 – pour the batter into square baking tin that has been greased evenly. 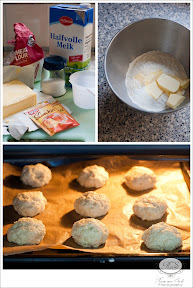 – pour the cream cheese mixture and lightly mix the batter with fork. – bake for approximately 30-40 minutes. – to yield a moist brownies don’t overbake, take the brownies out of the oven even when there is still slightly batter stick to the cake tester. Don’t tell me you’re never wanted to put your on fortune whenever you eat this at your favourite Chinese place? 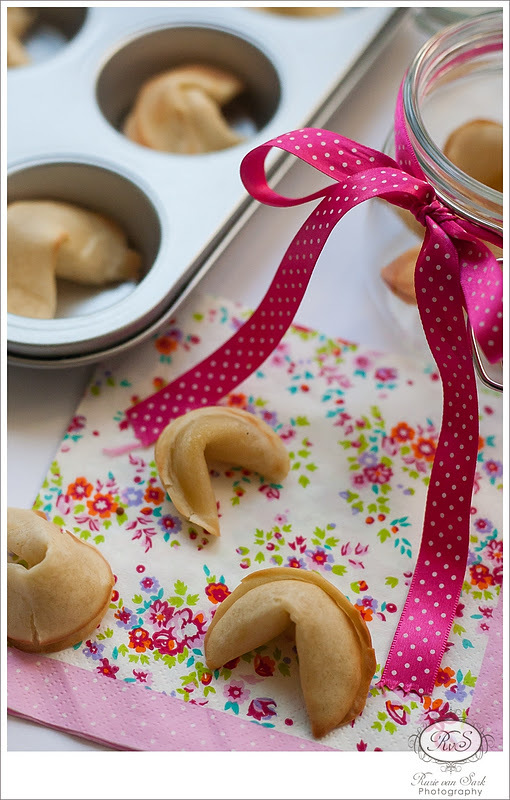 Well now you can make it in your own kitchen and feel free to make any kind of fortune you want. Although pay good attention to the direction because I didn’t that’s why mine was rather thick which resulted I couldn’t fold them nicely. 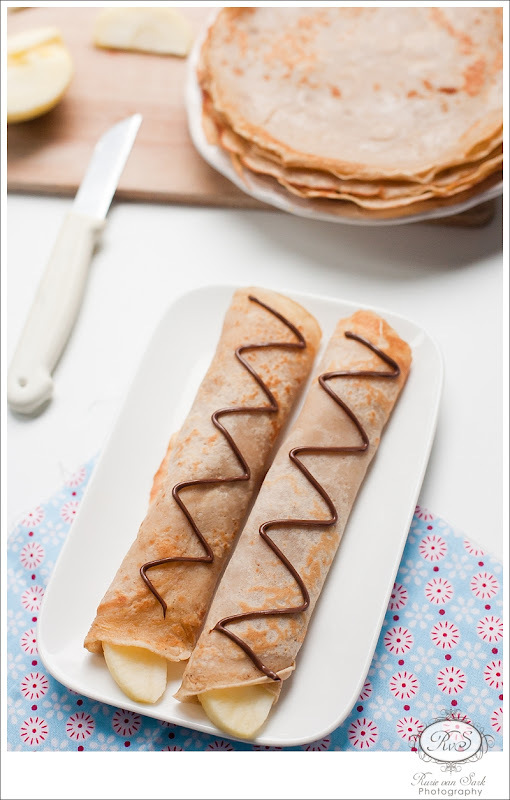 And when I did fold them they sort of crack….oh well it all made up with the taste, they surely tasted very nice. Good luck in making them. 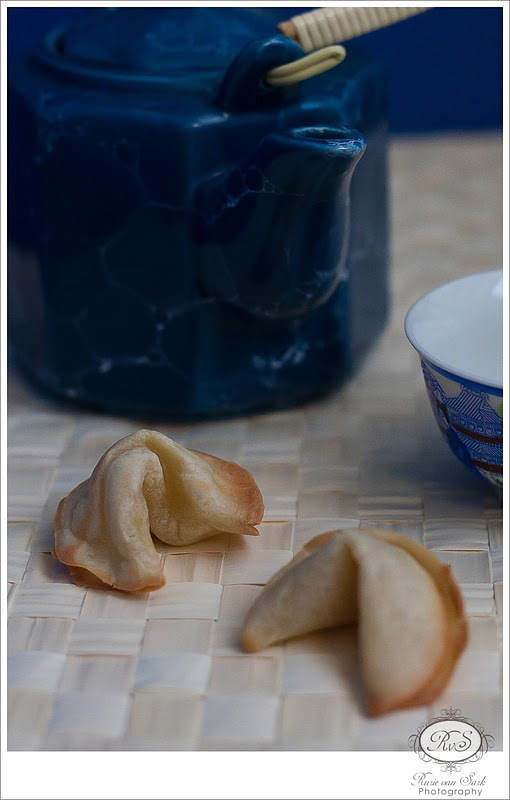 – Write fortunes on pieces of paper that are 3 1/2 inches long and 1/2 inch wide. Preheat oven to 300 degrees Fahrenheit. Grease 2 9-X-13 inch baking sheets. – In a medium bowl, lightly beat the egg white, vanilla extract, almond extract and vegetable oil until frothy, but not stiff. – Sift the flour, cornstarch, salt and sugar into a separate bowl. Stir the water into the flour mixture. 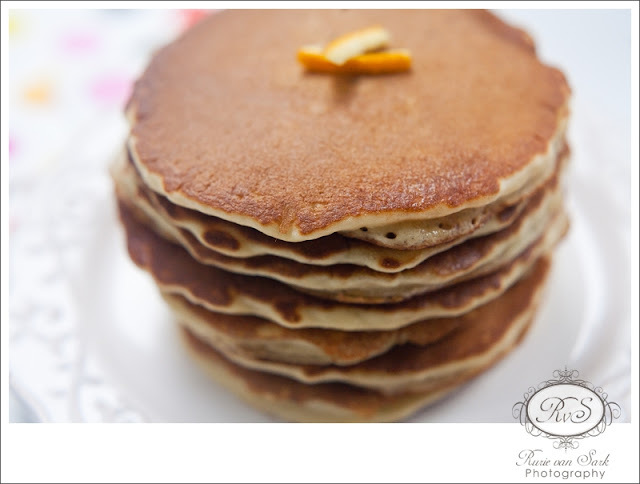 – Add the flour into the egg white mixture and stir until you have a smooth batter. The batter should not be runny, but should drop easily off a wooden spoon. – Place level tablespoons of batter onto the cookie sheet, spacing them at least 3 inches apart. Gently tilt the baking sheet back and forth and from side to side so that each tablespoon of batter forms into a circle 4 inches in diameter. – Bake until the outer 1/2-inch of each cookie turns golden brown and they are easy to remove from the baking sheet with a spatula (14 – 15 minutes). Christmas is (almost) here. Time goes by so quickly when you’re having fun isn’t it. This assignment from KBB came right on time for christmas baking. 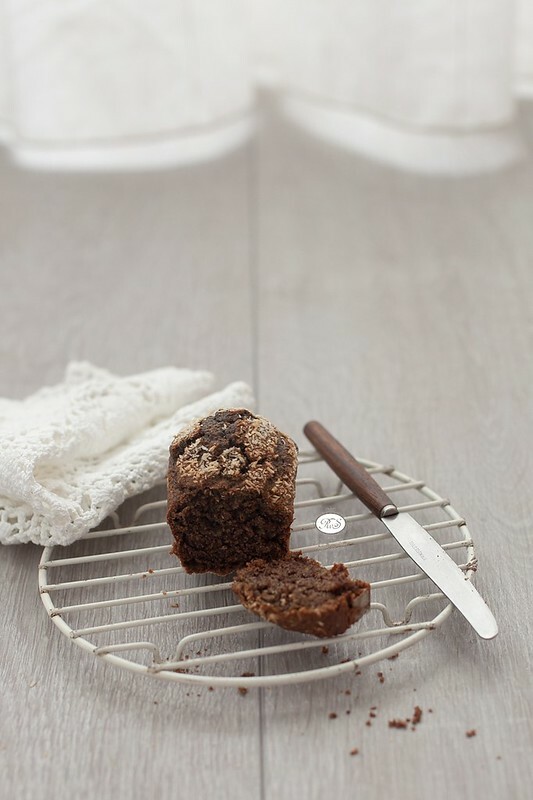 The not so sweet bread with it’s rich texture added from the chopped peel and sultanas give pleasant taste despite the somewhat chewy texture. 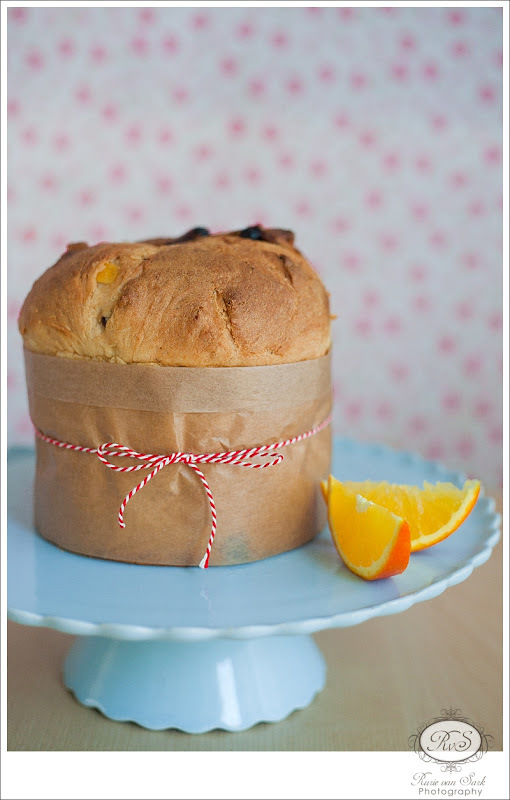 I would say that you should savour this Italian bread along with some butter spread on your christmas morning. 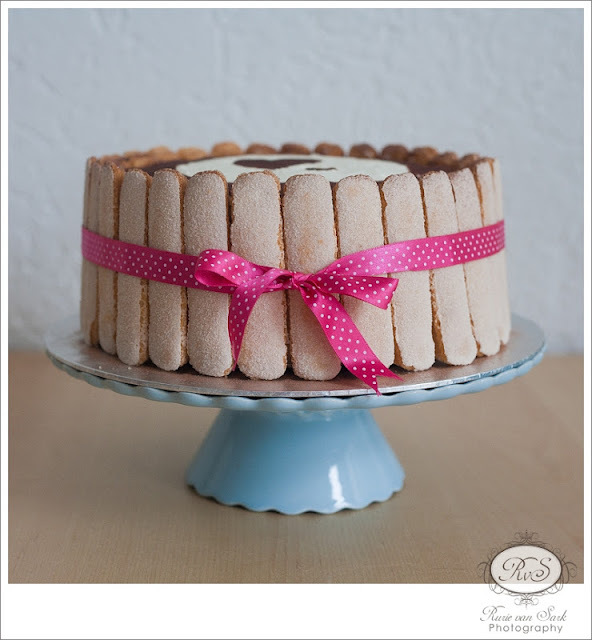 – Sprinkle 1 tbsp. granulated sugar and the yeast over the warm milk and let sit 3 minutes; mix and let rest in a warm draft-free place (e.g., a warm oven that has been turned off) until the mixture has doubled in volume, approximately 5 minutes. 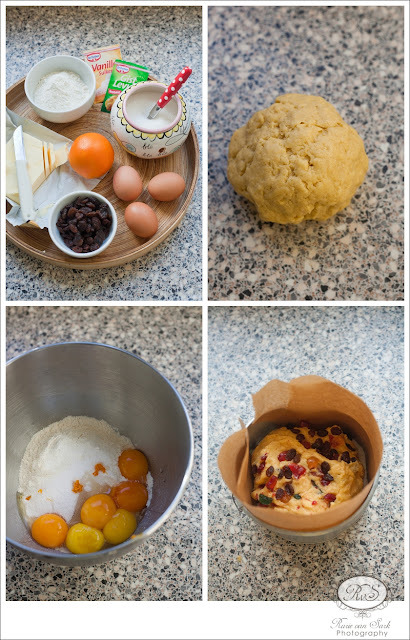 – Pour the mixture into a bowl, add in the egg yolks, vanilla, lemon zest, salt and remaining sugar; gradually mix in 500 ml (2 c.) of the flour by hand until a smooth consistency is attained – the dough should easily come together into a ball. – Gradually add the butter cut into small dice and beat until the dough becomes smoother and more elastic; add 125 to 250 ml (1/2 to 1 c.) more flour until the dough is firm and silky but not sticky; place the ball onto a lightly floured surface. Knead the dough for approximately 10 minutes. When the dough is smooth and shiny, place into a buttered bowl; dust lightly with flour, cover with a kitchen towel and place in a warm draft-free place for about 45 minutes until doubled in volume. 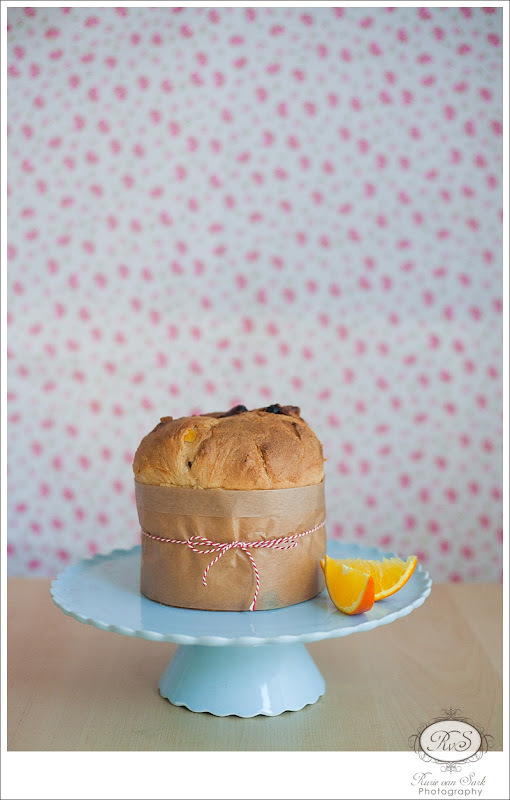 – Punch down the dough firmly with your fist and flatten it out in the bowl; add the candied lemon peel, raisins and currants and knead until well distributed but without working the dough more than necessary; line a large bread pan with brown paper that has been well buttered on both sides; place the dough in the pan and trace a cross on top; – Cover with buttered paper and let rise again in a warm place for 15 minutes; remove the paper from the top; brush the top with softened butter. – Remove from the oven; remove the paper and let cool for 15 minutes before unmolding. 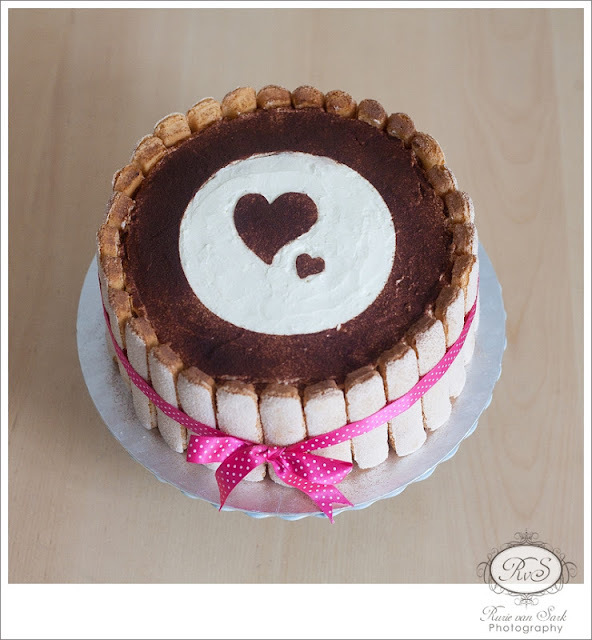 My lovely online baking club, Klub Berani Baking is having it’s 4th birthday, time surely flies when you are having fun. 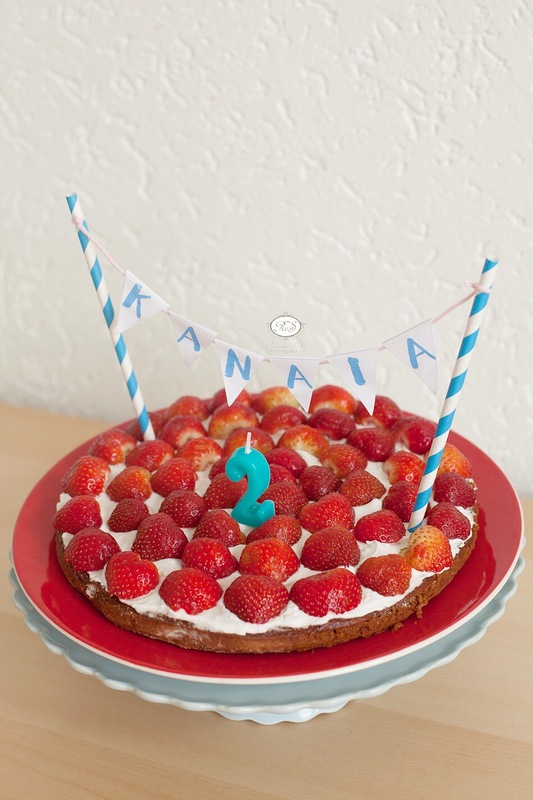 Felt that it was just yesterday when we celebrated it’s 3rd birthday. Anyway this year is my 3rd year joining the club and although sometimes I struggle to meet the deadlines (blush) but I still enjoy it, the challenges, the togetherness, the chit chat amongst members. Happy Birthday dear KBB, here to many more years to come! 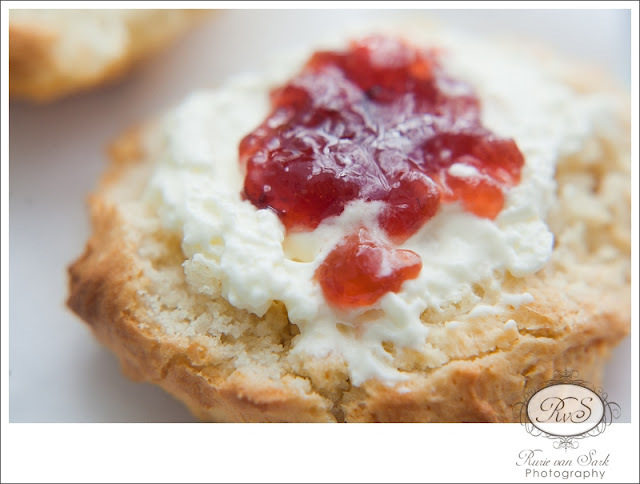 And to celebrate it let’s savour this lovely scones with cream and jam and not forgetting tea with milk and sugar. Cheers! Cut butter in until it resembles fine breadcrumbs. Add milk and mix quickly with a knife to a soft dough. Lightly dust an oven tray with flour. Press scone dough out onto this. Cut into 12 even-sized pieces. 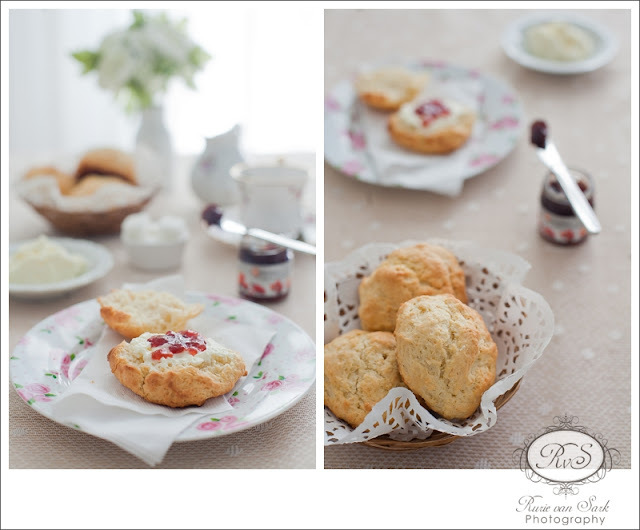 Leave a 2 cm space between scones. Bake at 220C for 10 minutes or until golden brown.